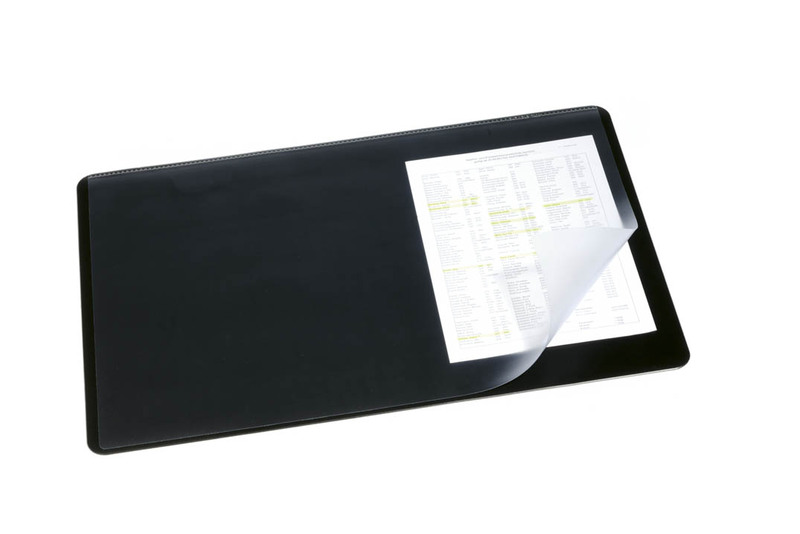 This Durable Desk Mat with Transparent Overlay features a flexible clear cover welded at the top edge, which can be lifted to slip notes and memos underneath. 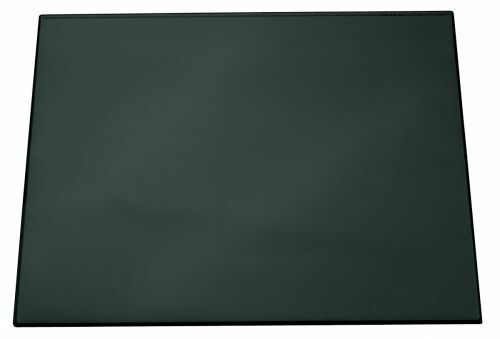 A non-slip foam backing keeps the mat secure in use. 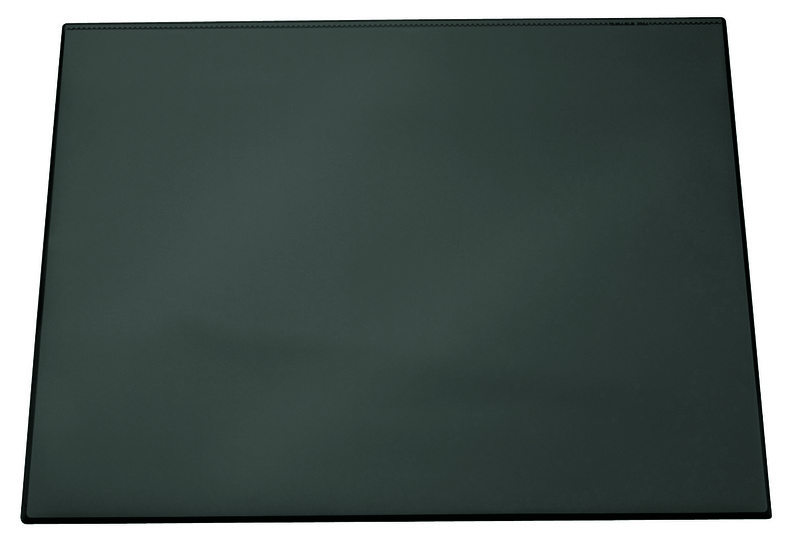 This black desk mat measures W650 x D520mm.